Brooklyn, NY - The first Chasidic legislator ever to have been elected to statewide office anywhere in the United States admits to being exhausted after weeks of campaigning, despite running unopposed to win the right to represent the state’s 48th district in the New York State Assembly. 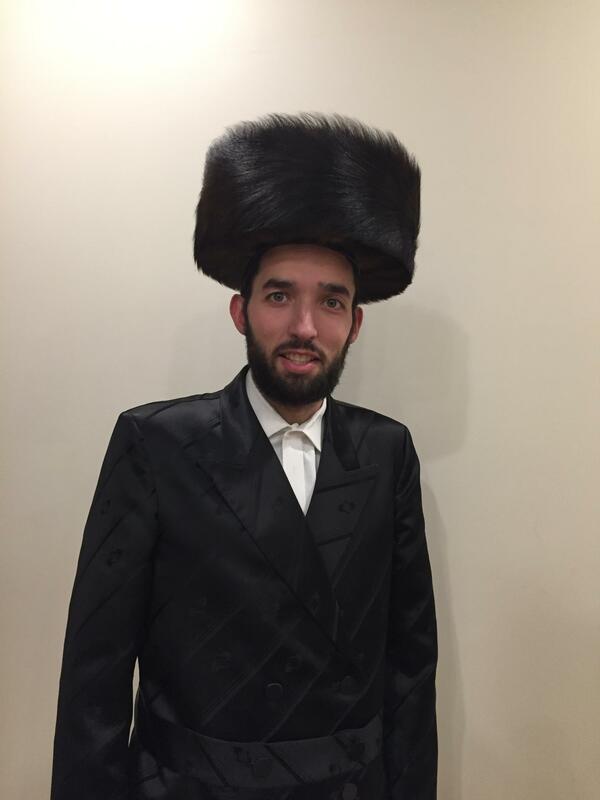 35 year old Simcha Eichenstein took his responsibilities as a candidate seriously, hitting the streets to speak with district residents and to listen to their concerns up until the final moments of the campaign. “My mindset was that I had an election to win and I was out there this week, Sunday night in front of Landau’s meeting people, Monday night…” Eichenstein told VIN News. “You only run once for the first time and people want to get to know you. People have questions and I hope to be around to meet as many people as possible. Eichenstein, who ran on both the Democratic and Conservative lines, walked away with 14,865 out of 15007 votes cast, according to the Board of Elections’ unofficial results. He said that he considers it an honor to represent the 48th District in Albany and that he intends to give 110 percent daily, always maintaining an door open for constituents. The father of four considers his first responsibility as a legislator to be a personal one. At the same time, Eichenstein doesn’t dwell on the fact that his election win was a historic one. Eichenstein looks ahead to building bridges with his fellow legislators, even those who may hold views that may differ from his on certain issues. A former member of the de Blasio team, Eichenstein said that he knows he has his work cut out for him when it comes to busting stereotypes about the Chasidic community. “We need our culture and our way of life to be better understood and that is something I will be working on,” said Eichenstein. Eichenstein said that his wife has been on board with his political aspirations despite the difficulties of spending so much time away from home. “It’s not always easy being in Albany,” conceded Eichenstein. “You are out there where there is only one shul, with a very early minyan and there isn’t another one 15 minutes later. And the rest of his family? His first job should be to have a public debate in borough park and Williamsburg with anti-vaxxers and some experts on vaccines such as doctors, researchers and epidemiologists who know the arguments of the misinformed anti-vaxxers and can change their minds to the truth. I met mr eichenstein about a month ago when he knocked on my door with his palm card on E15th Street. He seems very knowledgeable and hubble. I am very impressed that even as a chasidisha person he thanks his wife in a public setting and even says that she is sacrificing more than him. While it’s true. I don’t believe I ever heard a politician say that and coming from a chasidisha yingurman is even more impressive. As the resident non-Jew, I would truly like to know where he gets those hats. Are there special stores? yes they can be found stores that specialize them. Mazel Tov to Assemblyman Eichenstein!